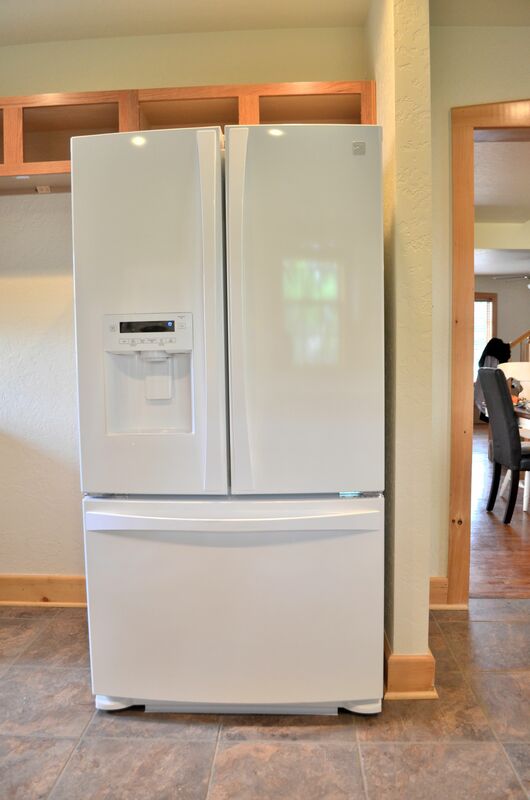 Our fridge has finally been delivered! It arrived later then it was scheduled but that’s okay because our kitchen is still not functional. Let me tell you though, this thing is a monster. When I saw it come out of the box I was surprised by it’s size. When the movers had to take off it’s doors and various parts to fit it in the house, I was worried that maybe we ordered too large of one. When they set it up in its space, I knew we could feed an army. 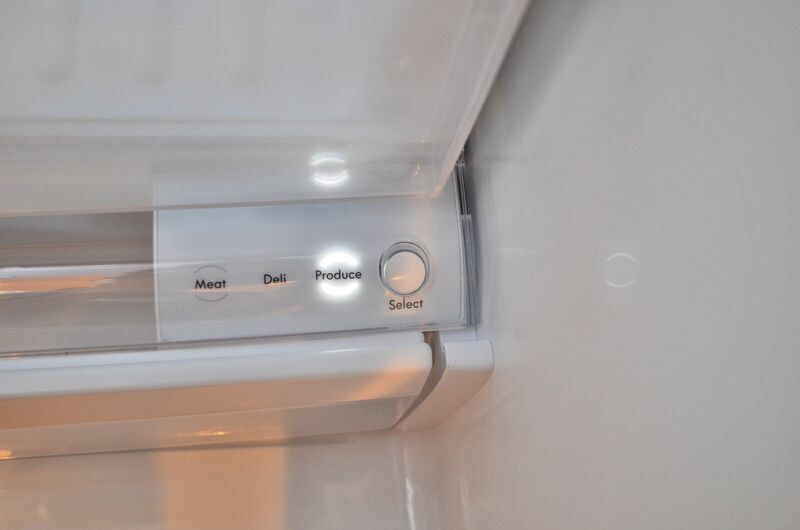 This fridge is the nicest fridge I have ever had. 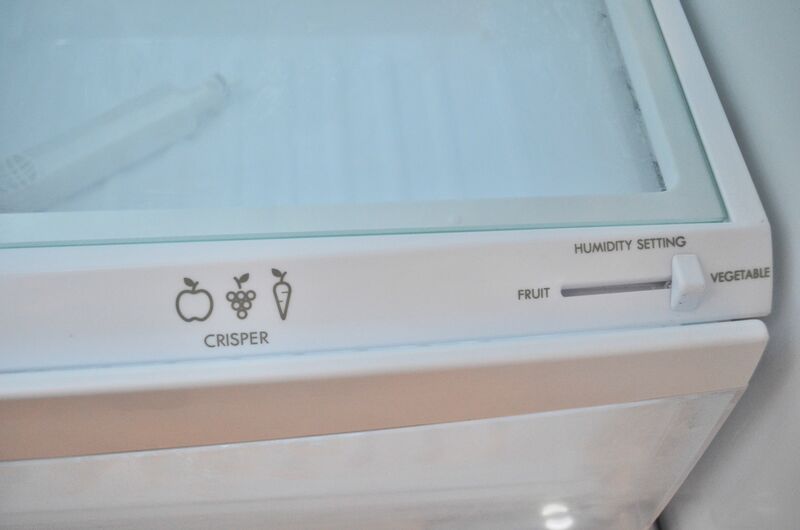 It has two of these compartments for vegetables or fruits with a humidity option. And this nifty thing that I haven’t quite figured out but it has a light. 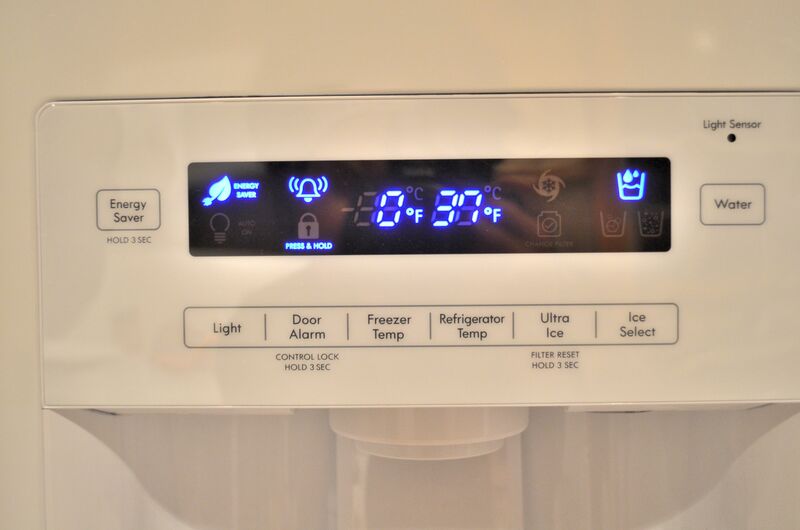 It also lights up in blue, is energy efficient, and has an alarm on it that alerts you if you leave the door open for longer than 60 seconds. I thought it was a con to come into a house that didn’t have a fridge but picking out our own and getting exactly what we wanted turned out to be really cool. And we love our choice. The fridge being in the kitchen is really starting to help this place feel more like home. We are scheduled to move in officially THIS Saturday. We have more work to do on the kitchen but I can see the light at the end of the reno tunnel. Seriously, it may just be a glimmer but I see it! 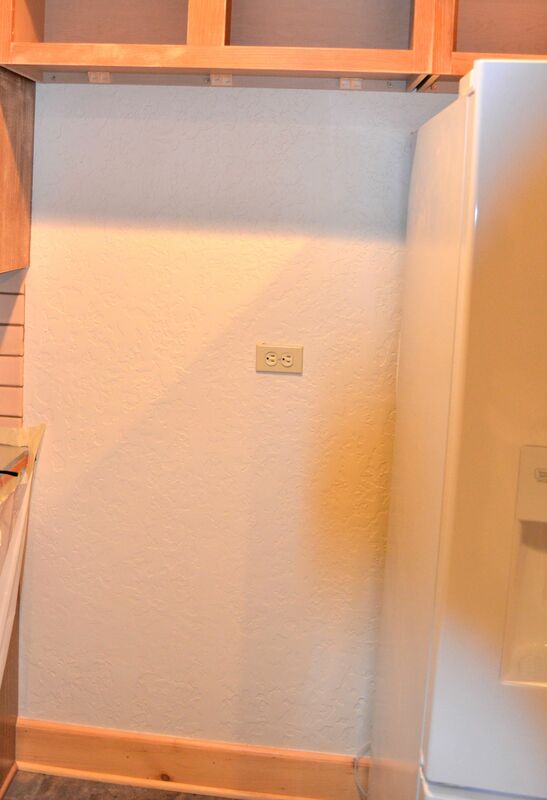 The only issue is that the space for the fridge is so wide because the previous owners had both a large fridge and a deep freezer. We don’t need nor want a deep freezer and even with our monster fridge, there is still a pretty big space. Originally we wanted to do a wall oven there but we didn’t account for how much space the fridge would take. After measuring everything out, we quickly realized a wall oven would not work. So I went to fb and asked my friends for advice on the space and got some really incredible feedback ranging from coffer bar, herb and plant station, more storage (we have 30 cabinets and 18 drawers! I don’t think storage will be an issue ha! ), juice bar, and animal feeding area. All great suggestions but the one that really stuck out for me was a juice station. 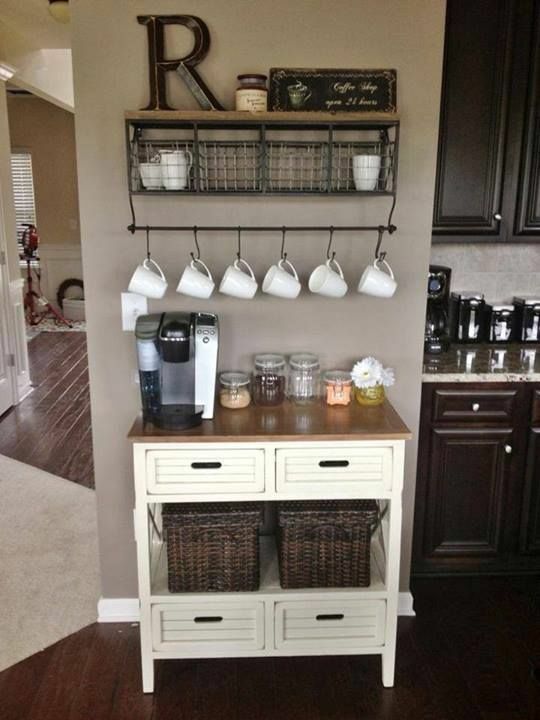 I love the idea of having an additional set place for our juicer and blender. I also love the idea of having plants/herbs near the station. 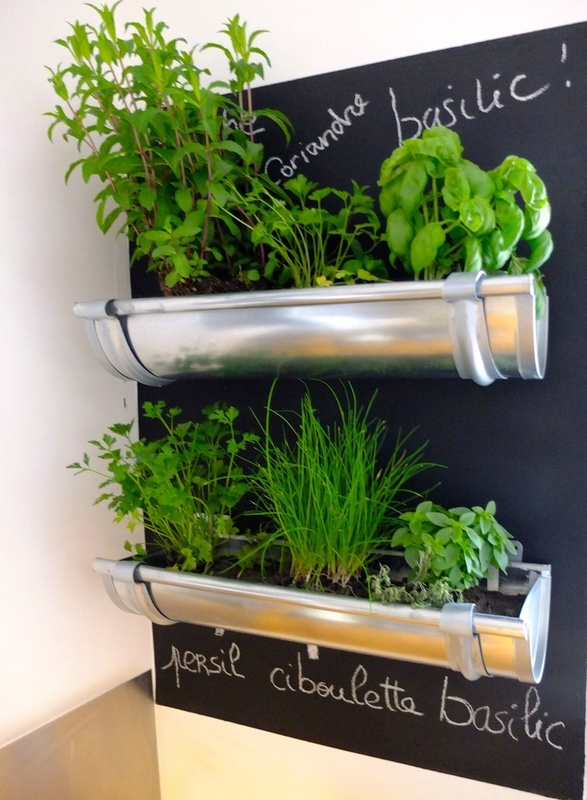 After much deliberation, we decided to go with a juicing/blending herb bar. 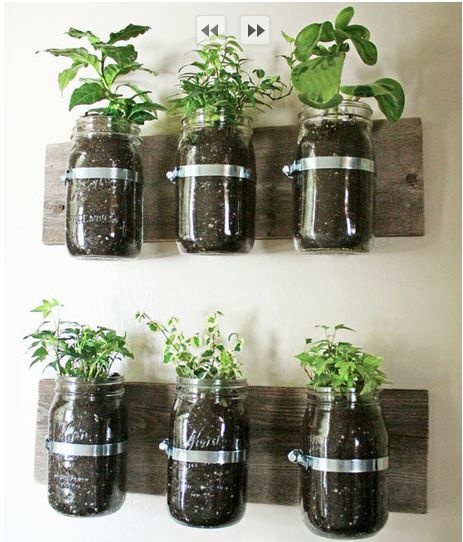 I love these mason jars being used to hold fresh herbs! I also love this coffer bar idea of using a portable island but replacing coffee accessories with juicing and blending accessories. 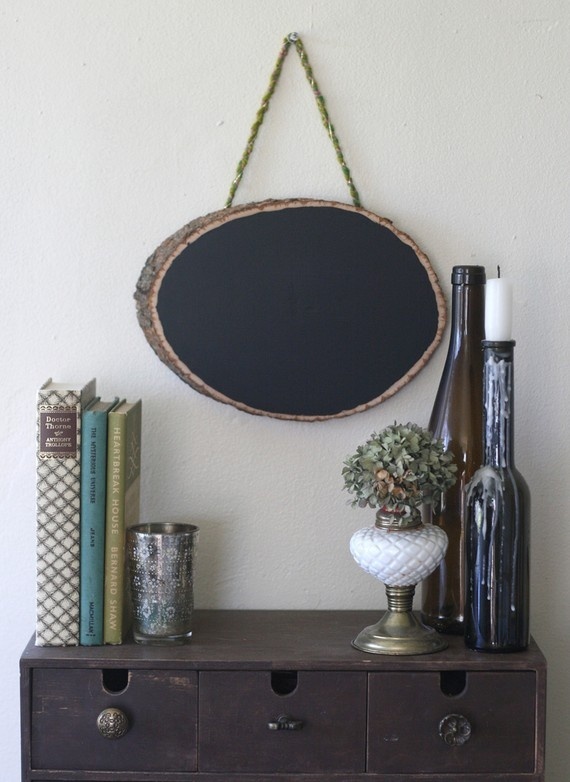 Having a fun chalk board in the space would be great! Not everything will work in the space but I am using these ideas as inspiration. I am excited to see how it all comes together and cannot wait to share what we decide to do with it! 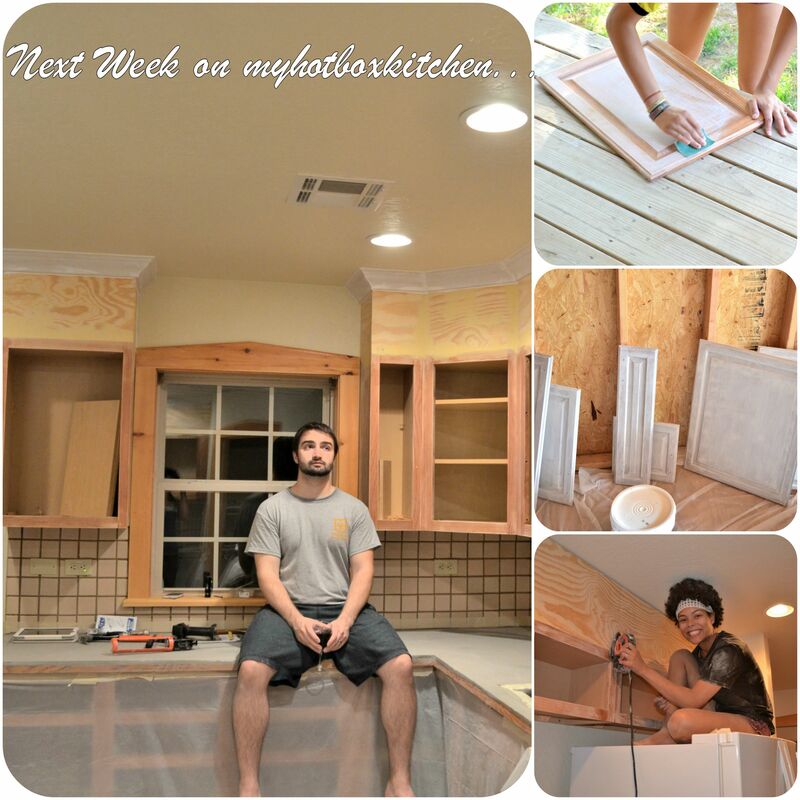 Be sure to check back next time for sanding, priming, painting, crown molding, and making our kitchen feel like home. Here is a sneak peak of next week! Thanks for the smoothie shout-out friend. 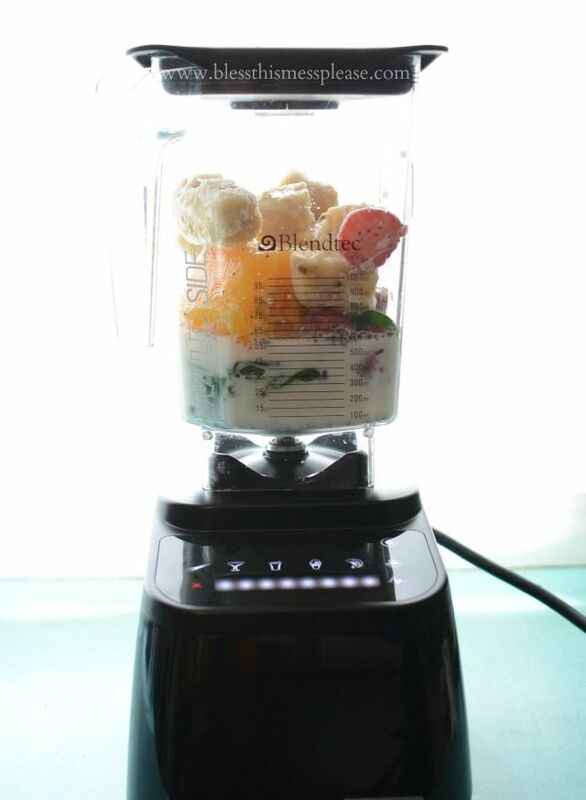 You dooooo want a Blendtec, it’ll change your smoothie life 🙂 And your kitchen is GORGEOUS!! We remodeled in 2012, enjoyed it for about 6 months and then sold the house. Oh how I miss it. I hope that you can stay in your home a little bit longer. That fridge is the stuff dreams are made of! What cracks me up about this one is Mr. sitting on the counters. lol. 🙂 I have pretty much the same fridge just in stainless (had to match the other applicances) I LOVE IT!!! So much storage in it. The drawer at the bottom my husband uses to stash his pizzas. It does look awesome, the crown molding. Always drink wine when appreciating hard work.